Welcome to Time Out Singapore's 52 Weeks of #ExcitingSG – our commitment to showing you the best of what's going on in the city this week. Every Monday, a guest writer who's "in" with the scene shares a recommendation on what to see, eat, do or buy in the city. 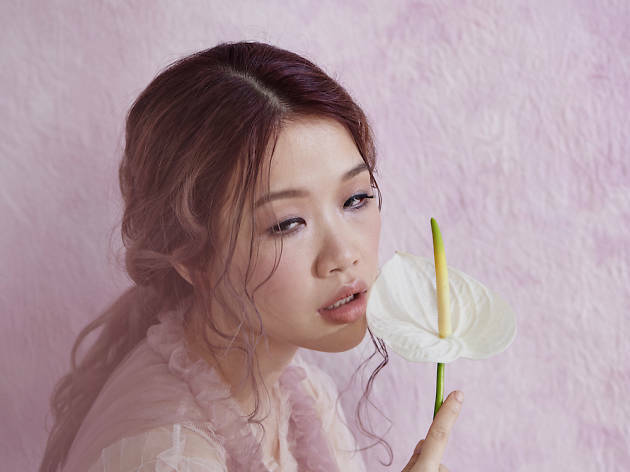 This week, we chat with homegrown singer-songwriter Linying. What gets you excited about Singapore? Hawker food for sure! I have to travel often and for long periods at a time, the thing that hits me hardest is always a craving for hawker food. I just write about my own experiences. Writing often helps me put a feeling into words and I'm better able to grasp it. What are your thoughts on Singapore's music scene? I think it's vibrant and has so much talent. A lot of great new musicians have surfaced especially in the last three years or so. Singaporean artists permeating the mainstream is something unprecedented and a mark of progress for our developing industry. Are there any acts you're excited to catch in Singapore this year? I'm thinking to go see Kehlani and Niki, who's opening for Halsey's Asia tour. You recently dropped a new single, Tall Order – tell us more about that. It's a song I wrote almost two years ago in between tours. It's broadly about falling out of love with yourself, seeing yourself deteriorate and realising that you aren't invincible. You aren't any more immune to the things that make all the impatient, unkind, difficult, selfish people you've ever encountered the way they were. It knocked me off my throne of self-righteousness and that's why this song is the first to be released from my second album. It's the basis of every lesson I've learned ever since. How can we get people more excited about local music? Local music just has to be more exciting – it has to be of a competitive enough standard and quality before listeners will believe in it. For more upcoming cool happenings, check out Time Out Singapore's 52 Weeks of #ExcitingSG challenge. Don't forget to show us how you're living your best Singapore life via the hashtag #ExcitingSG – we might just throw some free passes and VIP tickets to exciting festivals, gigs and events your way!